I made this quilt in anticipation of my daughter’s arrival. 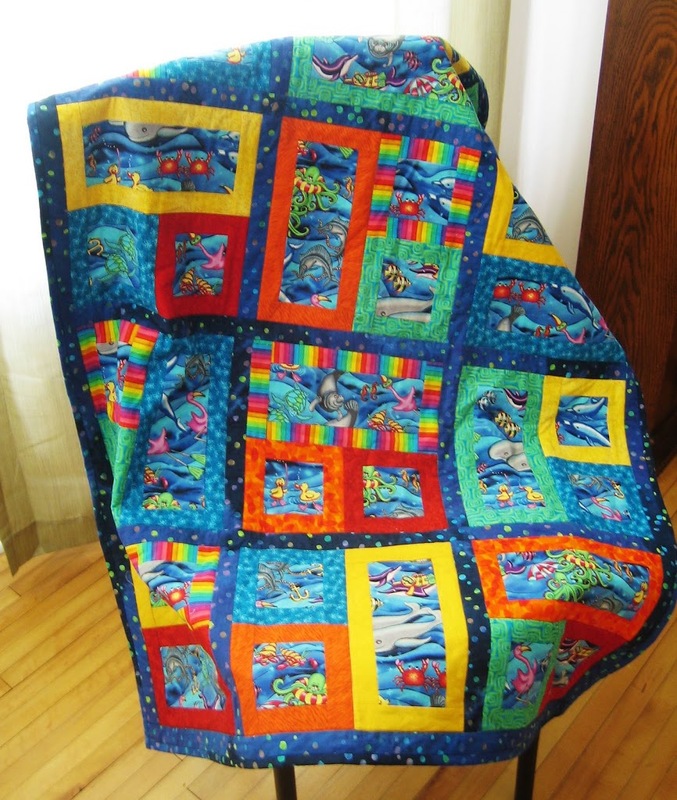 I was still very new to quilting so most of the the fabrics I used were not excellent. I checked out a book from the Boston public library that had this pattern in it with all kinds of super-cute fussy-cut jungle animals, but I had found this cute sea animal print to use instead.